Lately, I've been restless in my art projects. So I decided to start working with polymer clay. 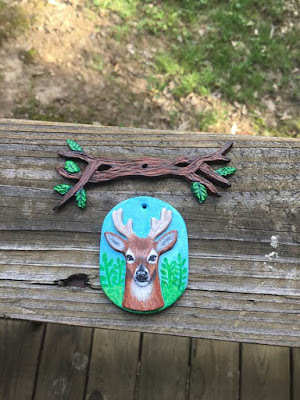 I made a few things that didn't turn out as I had hope, before I made this deer pendant and branch setting. I really liked making this and plan to do more of this type of thing. I have a lot of different ideas. I'll probably make little figurine necklaces too. In a few days my kids will be out of school for the summer, so I plan to do a lot of projects with them. I also plan to start oil painting as well. 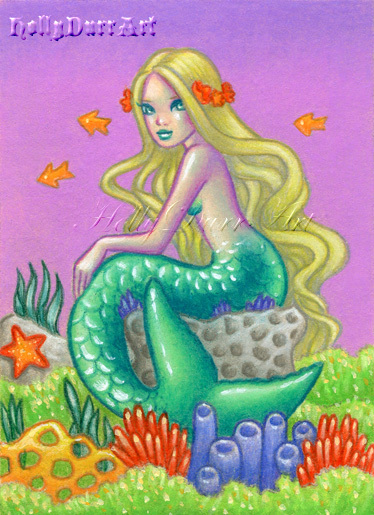 Sunset Sea, New original art Mermaid ACEO up for auction on eBay starting bid $10.00. I haven't wrote about this in awhile, but I am doing so much better health wise. I have finally got the help I need to get my stomach problems under control. I feel almost 100% better and I have a new lease on life! It's a very long story and journey, that I will write about some other time in a whole separate post. Along with doing large colored sketches I have decided to start doing ACEO's and auctioning them on eBay. This is the most affordable way to buy a original of mine. I like the fact that I can complete one in 4 to 6 hrs. It's a good way to experiment with mediums, colors, and techniques. 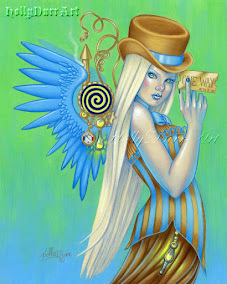 ACEO auctions will all start at $10.00. I will be doing all types of fantasy themed art. This month is MerMay so I'll be doing a lot of mermaids. 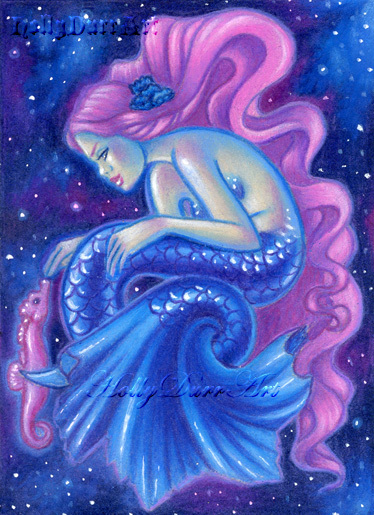 This ACEO is called "Seahorse Love".